These are the warmest socks we carry. They are fully cushioned which means the sock is the same thickness throughout instead of just having the thickness under the foot. These are especially great for hunting. Your feet stay warm while you are waiting to lure that prized buck in. They are also great for skiing and snowboarding. You get padding everywhere you need it. 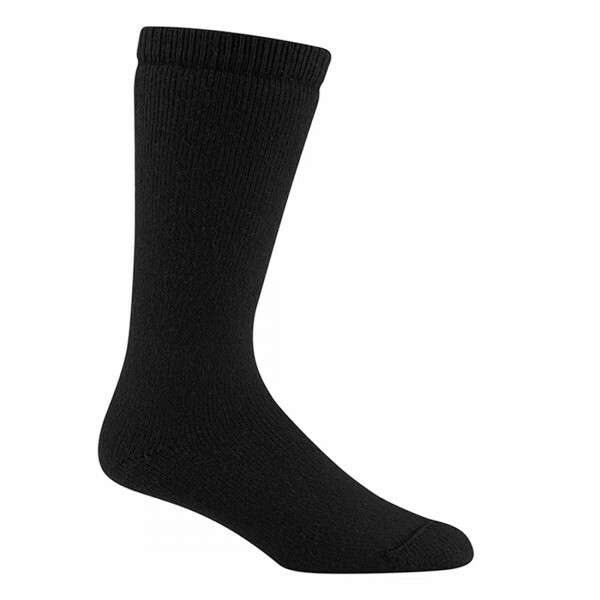 The wool and nylon wick the moisture away keeping your feet warm and dry. The fabric is knit to be super soft and non scratchy even with the 50% wool content.